by Luke Geraty | Apr 23, 2012 | Charismatic Theology, Pneumatology, The Vineyard Movement, Why I am "Charismatic"
I want to take some time exploring some of the main passages that cause me to remain “charismatic.” There are a number of passages that I find extremely convincing toward a Continuationist reading of Scripture, so I’ll take a few posts to work through each of them. Something should be said regarding the alleged “contradiction” in affirming that the gift of prophecy still functions today and that I hold to the Protestant doctrine of Sola Scriptura (not to be confused with Solo Scriptura). A number of Cessationists have argued that it is impossible to believe that it is impossible to believe there are continued Spirit-inspired revelations while also maintaining that Scripture is both sufficient and that the canon is closed, both hallmark beliefs for Protestants. Enough of the technicalities. 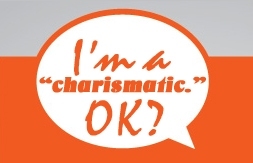 Why am I “charismatic”? Here’s a significant reason to believe that the charismata has not ceased and that we should expect the church to operate in a similar way as the early church did: 1 Corinthians 1:4-9. I believe a significant challenge is presented by Paul’s thanksgiving in 1 Corinthians. So much so that I believe it almost single-handedly mitigates the argument that the spiritual gifts would cease sometime towards the end of the first century or completion of the NT canon. Yeah, bold statement… but I’m going to hang my hat on it for a bit. It would seem that Paul’s thanksgiving in this passage certainly does present major themes that we find in the rest of the epistle (grace, speech, knowledge, charismata, the Second Coming, etc.). Ciampa and Rosner note that while the use of charisma in v. 7 shouldn’t be limited to spiritual gifts, “it nonetheless looks forward to Paul’s discussion of that subject” (The First Letter to the Corinthians, 65). The discussion that will later take places has a lot to do with “supernatural” spiritual gifts, such as prophecy, tongues, gifts of healings, etc. So why am I hanging my hat on this text? Why do I find it a very convincing passage that leads me to conclude that the charismata continues past the end of the 1st century and that the church should seek to practice these spiritual gifts until Jesus returns? Excellent question. First, there is a connection between “not lacking in any gift” and “as you wait for the revealing of our Lord Jesus Christ.” No one reading Greek in the 1st century would have seen these two concepts divided. The participle apekdechomenous (“as you wait for”) flows naturally from the statement that the Corinthians “fall short in no gift” (Thiselton, The First Epistle to the Corinthians). It seems important to note that apekdechomai is used eschatologically in several locations of the NT (e.g., Rom. 8:19, 23, 25; Gal. 5:5; Phil. 3:20), and that in this passage, the Corinthians are pictured operating with spiritual gifts until Jesus returns. Second, the fact that the spiritual gifts are pictured as residing with the Corinthian believers until Jesus returns designates their temporary nature. Make no mistake, Continuationists (and Charismatics) do not believe that spiritual gifts exist for all of eternity. Clearly the gifts serve a temporary role in redemptive history. The question, however, is when will those gifts cease? According to this text, it appears quite clear that the spiritual gifts that he has in view will cease when Jesus returns! While some Pentecostals and Charismatics may not understand why inaugurated & enacted eschatology is important as a theological framework, scholars and theologians will recognize its role. The kingdom of God, as the central and predominant theme of Jesus’ earthly ministry (and I would argue, the same as the apostles! ), functions to demonstrate that since we live in the “already,” we can expect the supernatural to occur until Jesus returns. And yet because we live in the “not yet” too, we can’t go about life as if the supernatural always occurs or has to occur in the ways that we determine. The main issue in 1 Corinthians 1:4-9 is that the spiritual gifts are pictured continuing until Jesus returns. Last I checked, Jesus hadn’t returned yet.